If you would like to receive our latest updates email us here. Our October update is available now! A wonderful article from Praire Girl Musings about her wonderful treatment at the Spa. Enjoy! Our September Pampering Update is out now! Our September newsletter is available now. Our August Pampering Update is out now! Our August newsletter is available now! Our July pampering update is available now. Our June pampering update is out now. Our June Newsletter is available now. Our May pampering update is out now! We wish to announce that as of 1 May 2016 we are no longer offering wedding ceremonies, photographs or receptions at Swan Lake Gardens. Our May update is available now. We are closed on ANZAC Day Monday 25th April. Our April pampering update is out now! View our March pampering update. Check out what we’ve been up to in our March update. We are now open 7 days a week from 9am till late. Our Waitangi weekend hours are as follows: Open as usual from 9am til late on Waitangi Day Saturday 6th February and Sunday 7th February but closed Monday 8th February. Ernlea Terrace is now open. The Roadworks have finished. Please use the main entrance to the Spa as normal. Just a reminder we are closed for treatments until Tuesday 5th January 2016.We are still processing gift vouchers for you to treat that special someone to our decadent treatments. 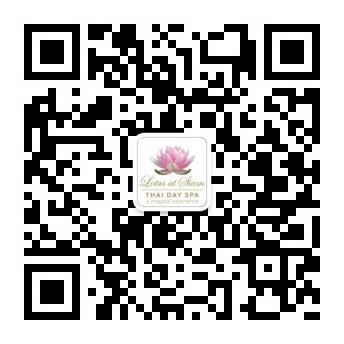 Purchase here https://www.lotusspa.co.nz/spa/vouchers-memberships/ We wish you a safe, happy and healthy Christmas and New Year. Our December update is out now. From Tuesday 1 December until late on Thursday 24th December we will be open seven days. We look forward to seeing you. Our November pampering update is out now. Read it here. Feel like pampering yourself and your loved one this weekend? We’re closed on Friday 13th November, then open as usual on Saturday and Sunday from 9am till late. Pop in and treat yourself this weekend! Read more here. Our November update is out now. Our October pampering update is out now. Get the girls together and share some amazing pampering and memories with us! Check out our new group pampering treatments. Our October update is out now! Need some quality time out with the girls? Try our new Group Pampering Packages! We all know how hard it is to find time out with the girls or family members, so why not get together and share some quality time and memories while being pampered by our qualified Thai therapists. We’ve created some wonderful new group pampering treatments for groups up to 4 people. We wanted to share a new review we have from Cityscape Magazine. We are so pleased our clients are enjoying and appreciating our beautiful Spa and hard working team.